The tomato plant (tree) is also known as the Cyphomandra betacea Sendt. This plant is the most well known among the family of 30 species. It is included in the family of Solanaceae. It is known of different names all over the world. Some of the names are the tree tomato, tomate extranjero, tomato granadilla, tomate, pix, granadilla, caxlan and tomate de arbol. However, shorty after the plant was found in New Zealand, it was named tamarillo and in the commercial world, it is known by that name ever since. 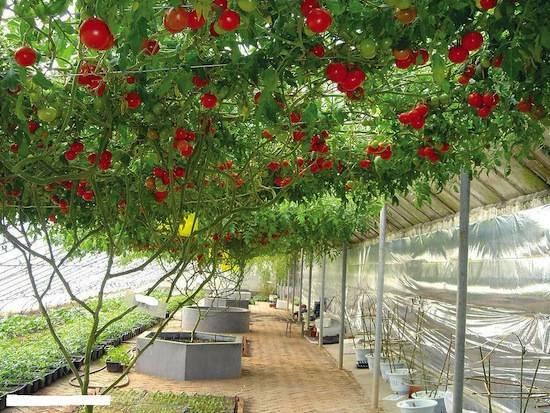 The tomato tree is smaller than other trees however it is different from the other tomatoes as it has a branch that is half woody. This plant has an attractive look. It has the ability to grow quite fast but it has shallow root and might be perfect to be paired with other deep rooted plants. When fully grown, the plant can reach 10 to 18 feet in average or 3 – 5.5 meter. 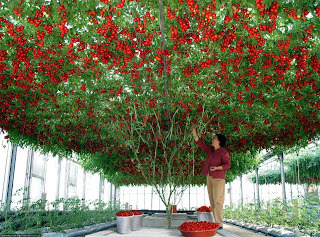 However, there has been noted that some of the biggest tomato tree can reach the height of 25 feet or 7.5 meter. This brittle tree has muskily odorous leaves. The heat shaped leaves are evergreen. The fruits of the tomato tree are long stalked and can be borne single or also in clusters of as little as 3 and as many as 12. The fruits are not round like most of the tomatoes, rather it has an oval egg shaped like. There are quite a variety of fruit skin colors. There are the blood red, yellow, orange, solid deep purple and a mix or red and yellow. However, the skin of the fruit is tough and it is not please to be consumed. Therefore, one will need to peel the skins before consumption.